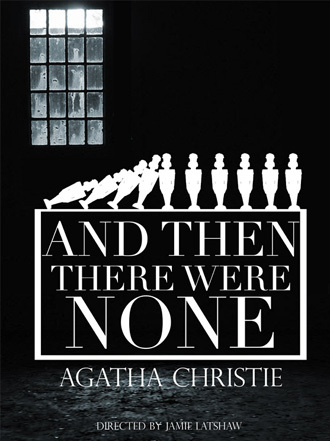 Our play for tonight began its murderous career as a 1939 novel by the Grande Dame of English mystery novels, Agatha Christie, whose fabulously formulaic plots of multiple murders in isolated locales have been the guilty pleasures of generations of crime-novel fans. Published under a dreadful and now politically and socially unacceptable title—Ten Little Niggers—the book was quickly published in the U.S.A. under the title And Then There Were None and rapidly rose to be one of the most printed books of all time—current computer searches put it as no. 7 on the “world’s most published books” list. The tale, in which a group of guests on a secluded island are anonymously accused of having all been guilty of causing the deaths of others and are then systematically killed using methods lifted from an old nursery rhyme, also had its title shifted in some editions to Ten Little Indians, especially in America, where the nursery rhyme used Native Americans as its subject. In its current published stage form, the objectionable 1930s racial and ethnic language has been altered--our mystery now takes place on Soldier Island off the coast of Devonshire, England, and the rhyme is now about “ten little soldier boys” (presumably because in our age of Anglo-American volunteer armies fighting distant wars while most of the folks at home keep on shopping, soldiers are a silent minority). 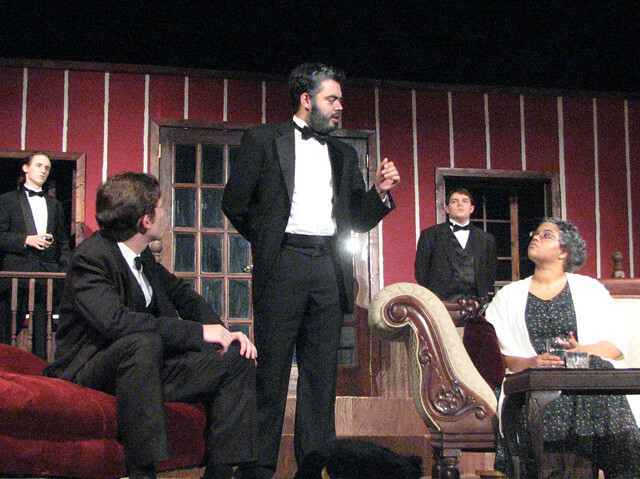 However, the inventiveness of its series of murders, the quirkiness of its cast of killer/victims, and most especially the effectiveness of the plot’s “red herrings” (clues intended to mislead or confound would-be sleuths in the audience) continue to delight audiences around the world. Director Jamie Latshaw and a cast and crew of LVC veterans and newcomers have worked hard to bring you this kick-off production of The Wig and Buckle Theater Company’s 75th Anniversary Season, so come with us now to that isolated locale, watch your back, and try to figure out “who done it.” Enjoy the show!